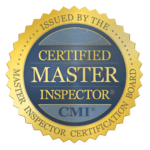 Tom Walther is a Certified Master Inspector ® licensed in Oregon (OCHI # 1897) and Washington (WAHI # 2375). 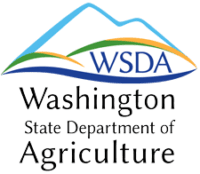 In addition, Tom is also a licensed Structural Pest Inspector (WSDA # 92668) and can sign off on pest and dry rot reports for federal loans. 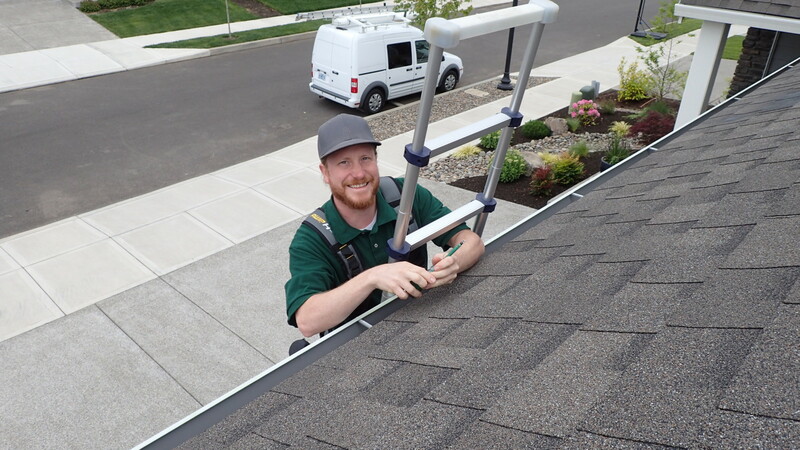 Tom brings over 13 years of experience working with residential homes in various trades and contexts, and has worked in thousands of homes in the general Portland and surrounding area as a Technician, Energy Auditor, Handyman, Contractor, Building Analyst, and Home Inspector. When he was 15 years old, he gained his first job as a carpenter’s assistant. This is where he learned about construction fundamentals, and worked on projects including all aspects of home renovation, repair, and remodeling. This is when his unending interest to learn everything and anything about home repair and construction began. Tom then earned his Bachelor of Science degree from SUNY Fredonia in New York State, which helped to reinforce a foundation in a scientific and technical perspective. After graduating from college, Tom moved to Oregon and worked several years as a telecommunications technician installing telephone, internet, and cable TV in homes all over Portland and the surrounding areas. He then moved on to work for the Energy Trust as a Home Energy Review Auditor and helped to develop The City of Portland’s Clean Energy Works program, which enabled Portland homeowners to receive low interest loans to finance whole house energy efficiency projects. During that process, he received extensive building science and renewable energy education, and was certified through the Building Performance Institute as a building science professional. This led him to then work as a contractor with an existing Portland based heating and cooling company. Helping to build up a new home energy retrofit division, Tom worked as sales person, project manager, and lead installer. Tom decided to become a licensed Home Inspector so that he could use his education, experience, and professional skills to help people understand more about their homes. His focus on health and safety, energy efficiency, and building durability enables him to inspect homes from a building science perspective. Working with Nonprofit Home Inspections also enables him to contribute towards offering sliding scale inspections for low-income customers and providing services for other nonprofits such as homeless shelters, and low-income housing. Tom’s dedication to serving and helping the community has been a strong value in his career decisions, which has ultimately lead him to become a home inspector and work with Nonprofit Home Inspections. Tom Walther is a Certified Master Inspector and has complete over 1,000 home inspections and / or hours of education and has been a professional home inspector for over 3 years. As a Certified Master Inspector at Nonprofit Home Inspections, Tom helps train other inspectors how to conduct outstanding home inspections in their own right. 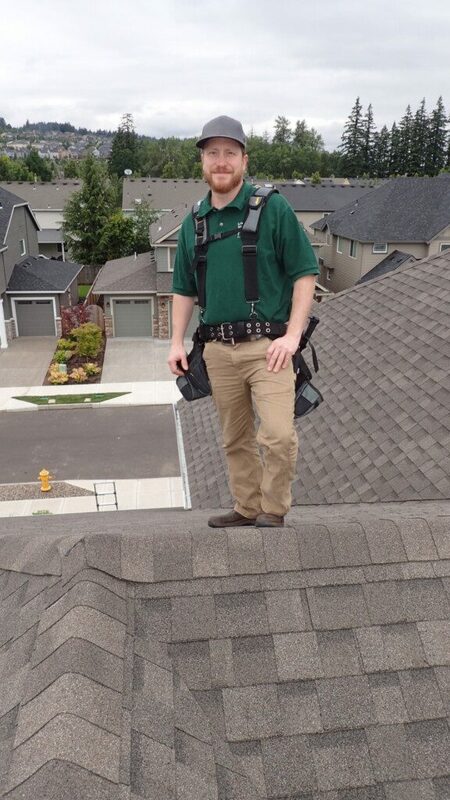 Tom Walther is an Oregon Certified Home Inspector (OCHI # 1897). Tom became a home inspector in Oregon a few years ago after helping to develop one of the largest weatherization programs in the region. As part of his duties, Tom was responsible for insuring quality control of contractors working on renovation projects. This focus on quality construction and renovation is an important quality as a home inspector as even minor defects may lead to significant defects later if not corrected. 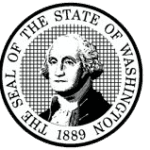 Tom Walther is a Licensed Home Inspector in the State of Washington (WAHI # 2375). Tom conducts home inspections in Vancouver, Camas, Salmon Creek and surrounding communities in Washington state. In addition to serving as a certified home inspector, Tom Walther is also a Licensed Structural Pest Inspector (WASPI # 92668). This is an especially important license for Oregon home inspectors. Specifically, any home inspector in Oregon is allowed to advertise and conduct “pest and dry rot” even though they may not be properly licensed or qualified. In addition, some banks and government loans require that “pest and dry rot” forms be signed by a properly licensed Structural Pest Inspector. All of Nonprofit Home Inspection’s home inspectors are Licensed Structural Pest Inspectors and can legally sign off on pest and dry rot reports for banks and government programs. Tom Walther has earned the prestigious designation as a Certified Professional Inspector® or CPI®. This designation is reserved for home inspectors who have completed a long list of requirements including completion of a rigorous training program, completion of strict Code of Ethics and Standards of Practice classes and a commitment to significant continuing education (among many other requirements). Hiring a Certified Professional Inspector® is an important step in helping your family make informed housing decisions by hiring an experienced, well trained home inspector who is looking out for your best interests. All of Nonprofit Home Inspections’ certified home inspectors have completed OSHA training. While not required for home inspectors in general, we believe it’s critical for our home inspectors to conduct home inspections safely in order to minimize exposing our clients, the home’s occupants, the real estate agents and our inspectors to unnecessary hazards. Older homes in particular may contain hazards such as friable asbestos, fall hazards, electrical hazards and more. 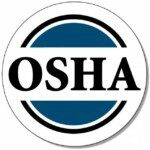 Because of our inspectors’ OSHA training, we take positive steps to make sure our home inspections are conducted safely and responsibly. 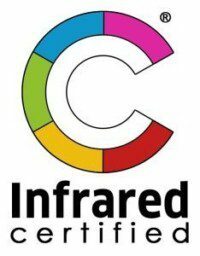 As an Infrared Certified™ Thermographer, Tom Walther is specially trained and certified to use thermal imaging cameras to help find hidden defects including moisture intrusion, overheating electrical components and missing insulation that is inconsistent with the age of the home. All of our home inspectors are equipped with high quality, very expensive thermal imaging cameras that are used in every inspection for no additional charge. Hiring an Infrared Certified™ Thermographer like Tom Walther can help in your efforts to make more informed housing decisions. 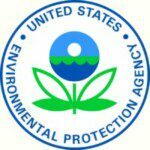 Because of his previous work renovating and weatherizing old homes, Tom Walther has been licensed as an EPA Certified Lead Based Paint Renovation Contractor. 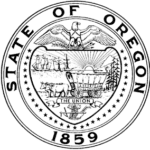 This certification is required for anyone seeking to work or bid on Oregon homes built in 1978 or before. This certification also allows contractors to test homes for the presence of lead based paint. With this background, Tom can serve as an educated resource for home buyers who may have concerns about the presence of lead based paint in their homes. While helping to develop one of the region’s largest home energy efficiency programs, Tom was certified for duct sealing by the Performance Tested Comfort Systems. This certification allowed Tom to verify if old ducts were sealed and upgraded properly in order to qualify for local and state tax credits. As a quality control technician overseeing the work of others, Tom was responsible for making sure that work was done properly and to the highest standards so that his clients could receive significant tax credits. 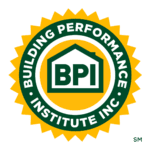 Tom Walther has been certified by the prestigious Building Performance Institute (BPI) as a BPI Building Analyst, BPI Envelope Professional and BPI Heating Professional. BPI certifications are some of the hardest home energy efficiency certifications to obtain and are hallmarks of an extremely well trained home weatherization professional. 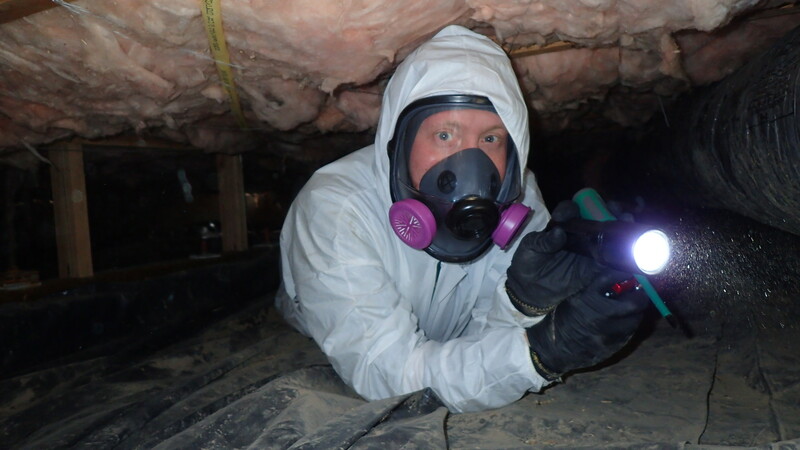 Tom’s training and experience as a BPI professional gives him significant additional insight into defects concerning insulation, weatherization and energy efficiency of the homes he inspects. Tom Walther is a member in good standing of the International Association of Certified Home Inspectors (InterNACHI). 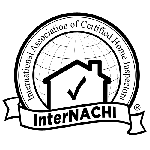 InterNACHI is the largest and most prestigious home inspector association in the world. 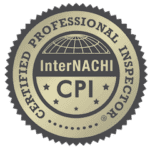 Membership in InterNACHI affords our inspectors access to a tremendous amount of continuing education opportunities, peer review of unusual defects and a myriad of additional benefits that help keep our inspectors at the top of their field. All of Nonprofit Home Inspections’ home inspectors hold additional certifications from the International Association of Certified Indoor Air Consultants (IAC2) for conducting radon and mold testing. This additional training and certification far exceeds state requirements, but helps to insure accurate and unbiased testing results for our clients. Because accurate results are critical in helping you protect your family from the harmful effects of mold and radon, selecting a home inspector that is also certified by the IAC2 is an important step in finding and maintaining your own healthy home.